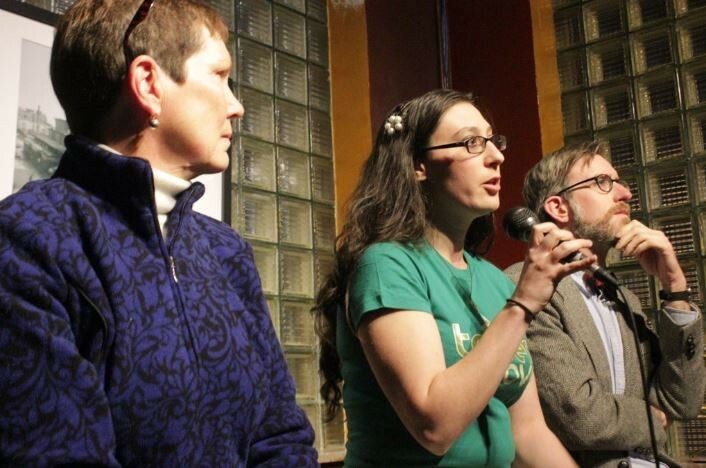 15th ward Alderwoman Megan Ellyia-Green (holding mic) debated challenger Beth Branzell Wednesday night at the Royale. The two Democrats are facing off during the March 3 primary. With St. Louis city's primary election less than a week away, candidates are rolling out their their juiciest negative ads to rally their backers and, they hope, to sway those last undecided voters. That's politics as usual. But supporters of incumbent 15th ward Alderwoman Megan Ellyia-Green say challenger Beth Braznell's campaign has gone too far. For the past week, residents of the ward -- which includes Tower Grove South, Tower Grove East, and Tower Grove Heights -- have been finding flyers on their doorsteps that criticize Green's participation in protests on November 24. That night, hundreds of people marched along South Grand Boulevard after a grand jury chose not to indict former-Ferguson officer Darren Wilson for killing an unarmed black teenager. 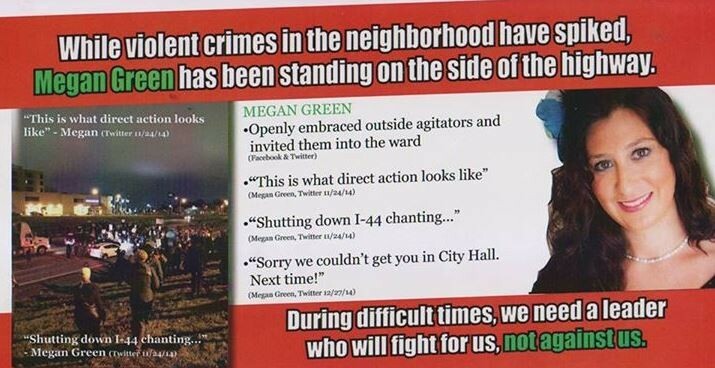 Some of the flyers claim Green "openly embraced outside agitators and invited them into the ward" during the protests. In response, Green's supporters showed up to a Wednesday night debate wearing t-shirts bearing the words "Outside Agitator." "While violent crimes in the neighborhood have spiked Megan Green has been standing on the side of the highway. During difficult times, we need a leader who will fight for us, not against us." The heavy handed language riled Leah Patriarco, a 15th Ward resident who attended the last night's debate between Green and Brazell, an event that attracted close to 100 onlookers to the Royale. Patriarco was one the dozen or so Green supporters wearing the "Outside Agitator" shirts, which were provided by the campaign. "Some of us who were out at protests are wearing these shirts to kind of poke fun a little bit," Patriarco said. "We're not really outside agitators, we're here, we live in this neighborhood and we're active in this neighborhood." Patrarco and other Green supporters say the flyers unfairly lump legitimate protesters with the vandals who damaged business and property along South Grand. Daily RFT spoke with Braznell shortly before the debate. 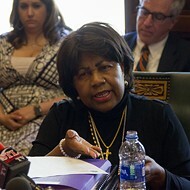 She justified the flyers' message by pointing to Green's involvement in setting up a "safe space" at St. John's Episcopal Church and to the overall danger of shutting down a highway near area hospitals. "I believe very firmly in civil disobedience, I believe in the right of free speech, and I believe that social activism is a great path to social change," Braznell said. 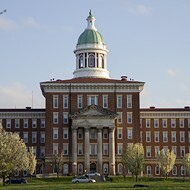 "I do not believe in shutting down highway at the entrances to major trauma centers. I do not believe it is an appropriate thing to create a safe house, which creates the impression that in the minds of certain people that it is OK to come and behave badly and you can run to a safe house." "What I think its really sad about the communications that Beth has put out is that she's characterizing people who want to see forward movement, she's categorizing them as criminals," said Green. "She's saying that anyone associated with this kind of change of police reform is criminal. To me that is very insulting." The debate itself largely revolved on ward issues. Both Branznell and Green voiced support for some form of civilian oversight board and police reforms, and the debate -- tightly moderated by historian and urban preservationist Michael Allen -- featured only a few points of conclusive disagreement between the candidates. If you're a resident of the 15th ward, it's well worth the time to watch the full video of the debate, embedded below. And remember, residents of St. Louis city: the election is March 3. Find your nearest polling place here.